Extreme heat seems to be just as much of an adversary as the player across the other side of the net at the Australian Open 2014. 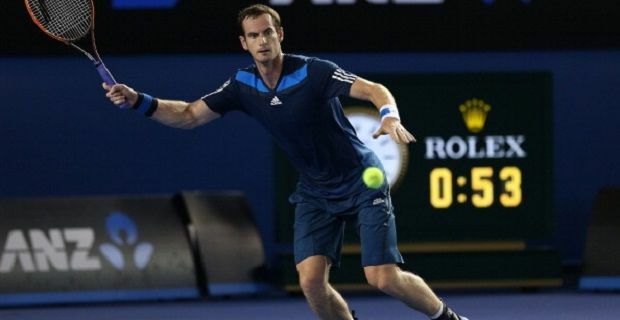 Although Andy Murray made it through against Vincent Millot today, Maria Sharapova beat Karin Knapp 6-3, 4-6, 10-8 and top seeds Rafael Nadal and Roger Federer went through in straight sets, the heat eventually became too much for the players so the officials called a halt to matches on the outside courts. Britain’s number one was treated for heatstroke after his 6-2, 6-2, 7-5 triumph over world number 267 Vincent Millot. The Frenchman played well above his world ranking towards the end of the match and surprised the Scot in the third set. On set point Millot must have thought that he would take the match to a fourth set, but Murray out played him by making a run of 23 points in a row. Sharapova’s match was just as physically demanding as Murray’s. It lasted 3 hours and 28 minutes in heat up to 42C. The final set alone accounted for 1 hour and 55 minutes of the match time and was decided 10-8. Having come through such a demanding match, Sharapova’s odd for the title must have dwindled. Serena Williams now looks the likely winner. She breezed through to the next round with a 6-1, 6-2 victory on Wednesday.